Planning your weekend visit to Bath? 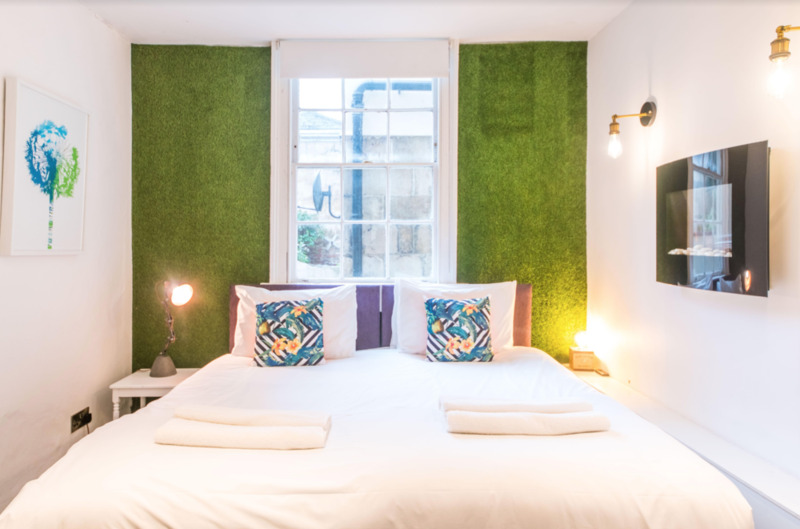 We’ve shortlisted the best places to stay - whether you’re looking for a city apartment, a five star break, a peaceful countryside retreat, or cosy bed and breakfast in Bath city centre. Bath is the perfect destination for couples or large groups and there are plenty of apartment options to choose from. Take your pick from stunning Georgian Town Houses to cosy 2 bed apartments. Find yourself a unique property in the heart of Bath with Georgian houses, quirky apartments and spacious homes with the friendly team at Bath Boutique Stays. Bath boasts exceptional scenic countryside just minutes from the city centre. From cosy Shepherd’s Huts to countryside cottages and retreats, Bath has good transport connections for staying in a nearby village or town. Some of our favourite local villages include Freshford, Monkton Combe and Southstoke - all just short distances from Bath city centre. Further afield, Wellow, Rode, Burton and Avebury are worth investigating. Relax and unwind in one of Bath’s many exceptional hotels. Many hotels in Bath offer spa facilities alongside gym and swimming pool access. Individually designed offering a combination of style and comfort the Apex City of Bath Hotel is a stone’s throw across the road from Green Park Brasserie. Bath is well known for its quality, independent accommodation. From cosy cottages to large farmhouses and guesthouses; Bath and the surrounding villages offer B&B accommodation with stunning countryside views as well as city centre stays with chic, classic interiors. Moments from Bath Abbey, the Roman Bath’s and the Jane Austen Centre is the relaxing haven of Brooks Guest House. For the Georgians, Bath was a playful city, filled with fun, luxury and 18th century frivolities. Today Bath is home to some of England’s best hotels in stunning building, designed and build during the period. Built in 1830 by the Duke of Wellington, Apsley House Hotel set in its own delightful garden. The hotel is a short walk from Bath city centre and is set with significantly proportioned reception rooms with many period features complimented by the house being furnished with fine antiques and original oil paintings. Looking to stay at a classic Bath landmark? You’re spoilt for choice. With hotels and apartments located on the Royal Crescent, the Circus, Great Pulteney Street and a number of classic Georgian buildings; Bath is home to several stunning landmark accommodation offerings. With modern Spa facilities and close to the Bath Botanical Gardens, the Royal Crescent Hotel is perfectly placed for a peaceful stay in Bath city centre. Proudly independent, we’ve been championing the Bath restaurant scene since 1992. We’ve worked with other businesses since we opened to help Bath become a thriving place for both locals and visitors. Our restaurant is set in the historic old Green Park Station in Bath city centre. Join us for our busy live music evenings, award winning menus or discover our alfresco pizza restaurant, Bath Pizza Co on the same site. We also host functions and events at Bath Function Rooms, directly above the restaurant. On weekends, the old station hosts the Bath Farmers’ Market and Vintage Markets. We’re thrilled to have picked up a recommendations in recent years from The Sunday Times, The Guardian, Culture Trip, Visit England and others.